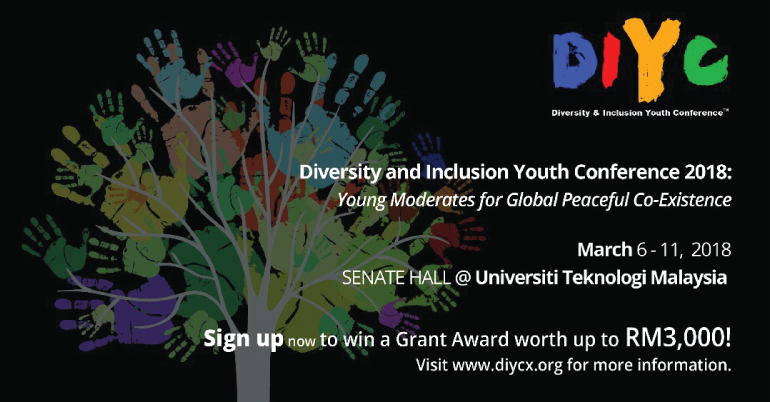 Global Movement of Moderates is pleased to invite you to join at the 2018 Diversity and Youth Inclusion Conference (DIYC) and to be a part of this movement! The Diversity and Inclusion Youth Conference (DIYC) is a global educational youth movement that was inaugurated by DYMM Permaisuri Raja Zarith Sofia in 2012. DIYC seeks to gather the youth together to understand how the values and practice of moderation, among themselves, can have a significant contribution towards peaceful co-existence in a multi-ethnic and multi-religious environment. By bringing together youth from various countries, this conference seeks to dissect and analyze the varied, multifaceted and evolving meanings of what it takes to create and maintain the peaceful coexistence between communities in their respective countries. Since its inception, the movement has spread throughout Malaysia and successfully placed thousands of trained DIYC Ambassadors in countries across the region. DIYC 2018 will be held from March 6 to March 11, 2018, in Iskandar Johor, Malaysia, the birthplace of the movement. Local and international selected students from institutes of higher learning institutions, as well as youths from non-governmental organizations, will be invited to participate in this residential conference. Participants who will be selected to participate in this conference will be granted an award worth up to MYR 3,000.00 covering all conference-related expenses, which includes but is not limited to, lodging, food, and conference registration. During the conference, participants will acquire the knowledge and tools to strengthen their ability to communicate across differences, interact with one another and look at diversity as an asset for cross-fertilization and inter-cultural exchange from which mutual trust; better understanding and a global mindset can emerge and proliferate. 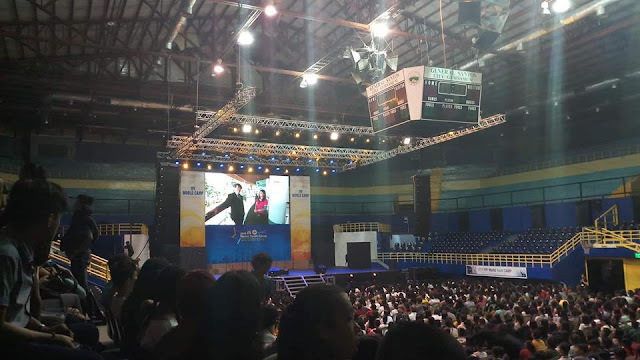 The outcome of the conference will be shared and disseminated to various regional and international higher learning institutions and agencies, especially if the discourse is rendered into a form of a memorandum. Participants who have been selected to participate in this conference will be granted an award worth up to MYR 3,000.00 covering all conference-related expenses, which includes but is not limited to, lodging, food, and conference registration.